It’s common to experience moths in the house if there is a lot of movement in and out of the structure. The insects may slip in easily through the door, or an open window. In some instances, moths get in the house because they are simply attracted to light. Moths may also be attracted to food or clothing within the home. Here, you’ll learn about the most common moths as well as some strategies on how to control them. What Are Moths Attracted To? It is standard knowledge that most moths have a natural attraction to light. It is not at all unusual for homeowners to observe these insects flocking in large numbers around outdoor light fixtures or windows during the night time hours. It is important to understand that not all moths have a natural attraction to light. Once these insects find their way into homes, they are attracted to several products and several areas. The items of attraction are usually those that may serve as a food source and places of attraction are those that are dark and secluded where they may lay eggs. Food sources include – but, are not limited to – various types of grains, a wide assortment of nuts, different types of spices, flour, and even chocolate. 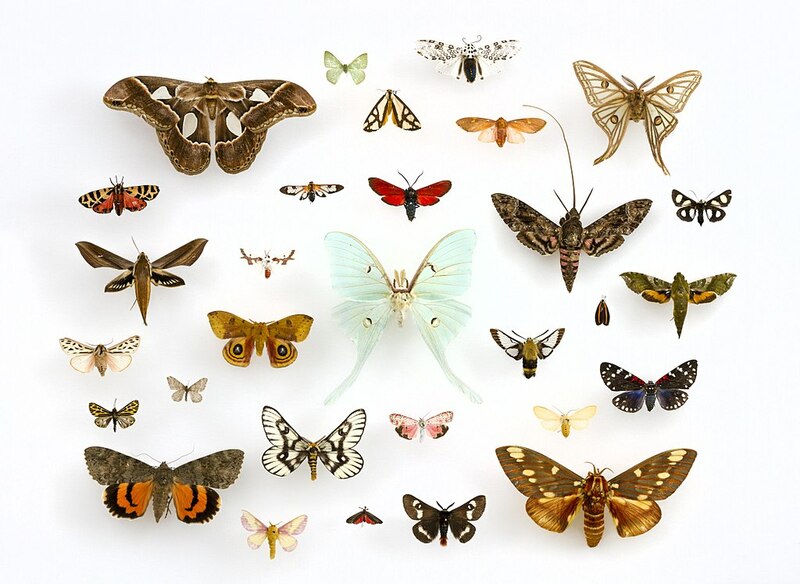 Many moths are attracted to clothing and fabrics that are composed of materials that are derived from animals. Areas where moths may gather to lay eggs include near plumbing fixtures, under appliances, cracks, and other areas that are dark and isolated. If I have Moths in the House, is That Serious? In order to determine if you have a serious moth problem in your home, you must first determine what type of infestation that you have. The most common types of moths include the brown house moth, the pantry moth, and the clothes/carpet moth. Each type of moth is attracted to unique products and areas. The severity of the infestation depends on the overall size of the infestation. Moths have the capability of leaving behind larvae. Larvae leave holes in fabrics – which means that your clothes and furniture is at risk. When feeding, moths leave behind feces stains. This contaminates foods and other items in the home. The areas of your home where the moths linger may become contaminated with webbing and cocoons. How Do I Know if it is a Moth? To confirm that you have a moth infestation, you must become familiar with the general appearance of a moth. The insects usually have two distinct pair of wings, with each being covered in a type of scale. The eyes are very large and the proboscis of the eyes is coiled. The color depends on the species. The most common colorings are brown, gray, and metallic. The size varies by species. 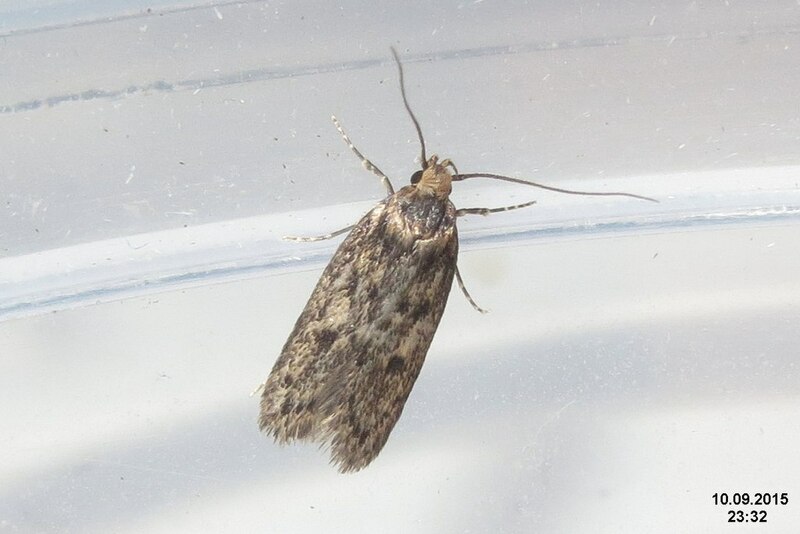 If you suspect you might have a problem, your local pest control professional will be able to determine if you have brown house moths, pantry moths, or clothes/carpet moths. The brown house moth is the most common of all moths. Its wings are a golden color that resembles bronze and they have black flecks. The adult measures between 8mm and 18mm long. Considered to be a native originally from Asia, this insect is now considered to be a pest within the United States due to the feeding habits of the species’ caterpillars. These are known to feed on certain types of foods, such as barley, oatmeal, rice, flour, and potatoes. The brown house moth may also feed on the fabrics in carpets, clothing, and items that contain certain types of upholstery – such as wool. Pantry moths are also considered to be common. In fact, each year, it has been estimated that these insects infest thousands upon thousands of households within the United States. These moths prefer foods that have been stored. Common attractions include cereals, pastas, spices, and other types of dry goods. The adults lay their eggs in the food and when the larvae hatch from the eggs they are the ones that consume the food. 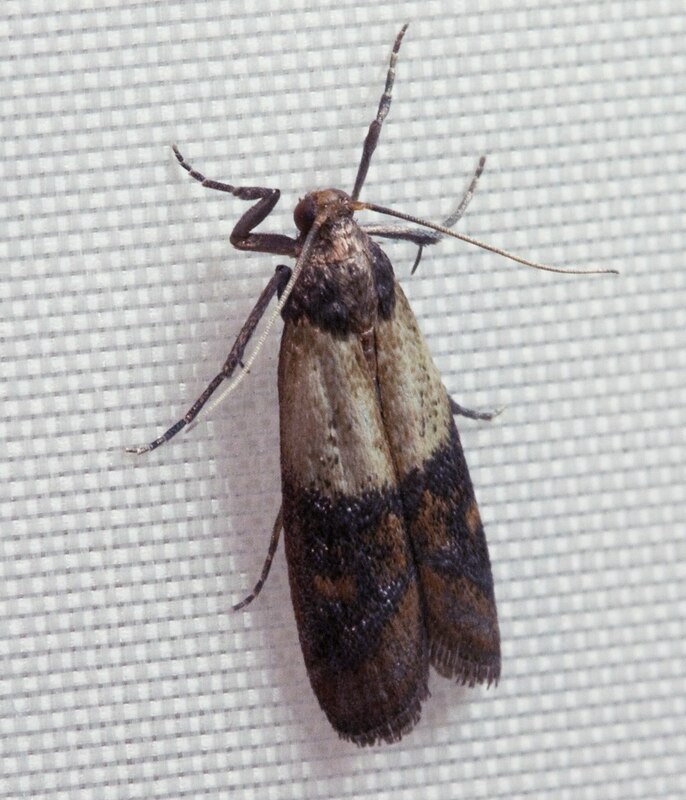 A troublesome type of pantry moth is the Indian meal moth. These actually have the ability to chew through containers to access dry food products. While these types of moths are most active in the summer, they have the ability to remain highly active throughout the rest of the year just so long as they have access to warmth. There are two troublesome types of clothes/carpet moths. These include the webbing and the casemaking. Each of these are smaller than an inch. 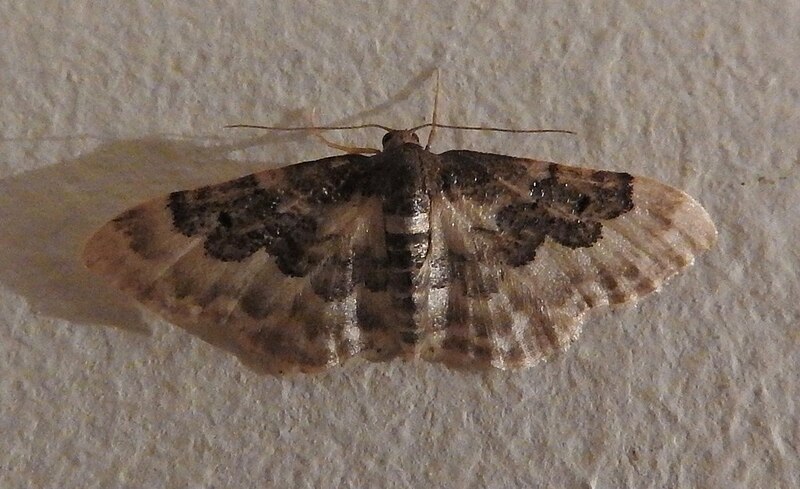 In most instances, you may not realize that you have these types of moths until you find that your carpets, bedding, clothing, and other items that you have stored start to display signs of damage. 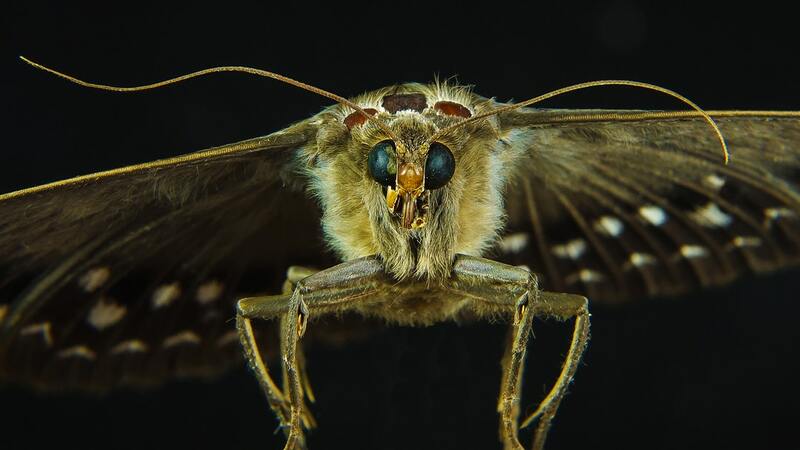 The offspring of these moths are the ones that actually damage carpets, clothes, and other items made from fabrics. These moths may hide near or under baseboards, underneath carpeting and rugs, or even within furniture. Once you discover you have a moth infestation, it is likely that damage from the infestation has become evident. You must treat the issue and then take preventive steps to prevent another infestation from occurring. You can purchase flypaper, create traps using fish oil, clean with vinegar, put cedar throughout your home, and even use other products to deter moths; however, this may prove to be overwhelming and ineffective. If you want to eliminate infestations and prevent them from coming back – once and for all – you should opt for professional pest control services. The technicians will be able to identify exactly what caused the infestation and will be able to eliminate all traces. To set up an appointment, contact us today at the phone number below.